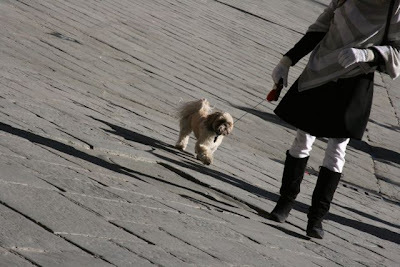 Perhaps it is because I miss my own pup so much when I travel without her, but I often find myself photographing dogs when I travel. 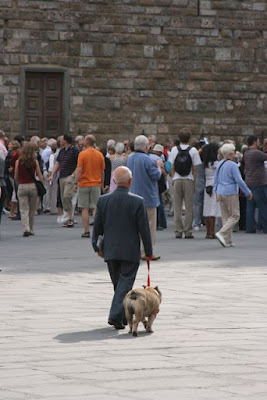 And Italians love their dogs! 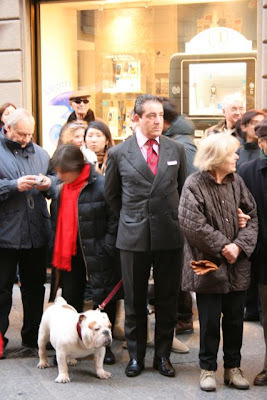 These are some of the cani (dogs) I've photographed in Florence lately. 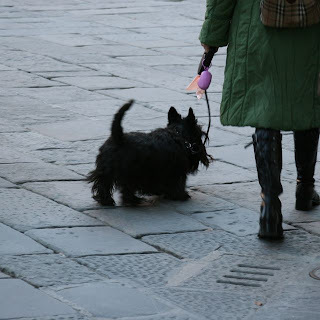 This charming Scottie was taking her owner for a walk through Piazza della Signoria, a popular place for dog-walking. 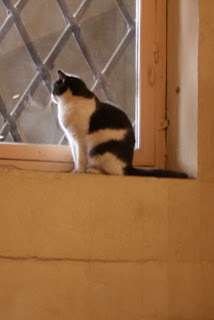 and this sweet kitty was hanging out in the cafe at the Pitti Palace on a chilly winter day. You can see why I miss her! Looking for more fun photos? Check out DeliciousBaby.com's Photo Friday ! Ciao! I had to double-take--that cat in the window looks just like ours! Ah, the Europeans have superior style all the way. these are such sweet photos. Thanks for sharing! Ah Firenze! Wonderful for everyone, including animals. Love the scottie dog. 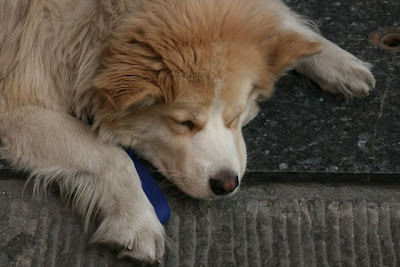 Beautiful dog and beautiful photo. 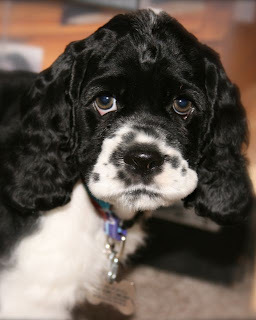 I miss having a doggy. Such cute photos. Thanks for sharing! She is absolutely an adorable girl. Those eyes must get you every time! Love the picts. Love the dogs! I did this when I was Europe...my kids loved finding them....it was like our own little scavenger hunt! 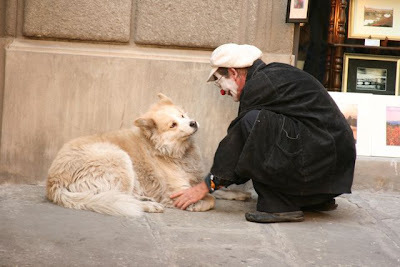 I love the picture of the doggie and the street performer. We end up taking lots of pictures of animals too as we roam the world. I wish they had more rules about picking up after wards, so one does not have to dodge so much while walking about.